AASARE ANGAVIKALARA KSHEMABHIVRUDDHI AND GRAMEENABHIVRUDDHI SAMSTHE is located in Shirahatti Karnataka . AASARE ANGAVIKALARA KSHEMABHIVRUDDHI AND GRAMEENABHIVRUDDHI SAMSTHE is registered as a Society at Gadag of state Karnataka with Ngo unique registration ID 'KA/2013/0069045' . 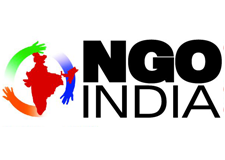 The NGO registration is done by Registrar of Societies with registration number 0058/2004-05 on the date of 10-08-2004, Its parent ORganaisation is Aasare Angavikalara Kshemabhivruddhi and Grameenabhivruddhi Samsthe. The Chairman of AASARE ANGAVIKALARA KSHEMABHIVRUDDHI AND GRAMEENABHIVRUDDHI SAMSTHE is Fakkiresh Myatannavara and Chief functionary officer is Shashidhar Shirasangi.